Assists surgeon during surgical and endoscopic procedures. Ensures operating suite is adequately prepared for procedures. Monitors levels of all surgical instruments and supplies. Responsible for decontamination, cleaning, processing and sterilization of equipment. Willingness to accept new ideas and work under stressful conditions. 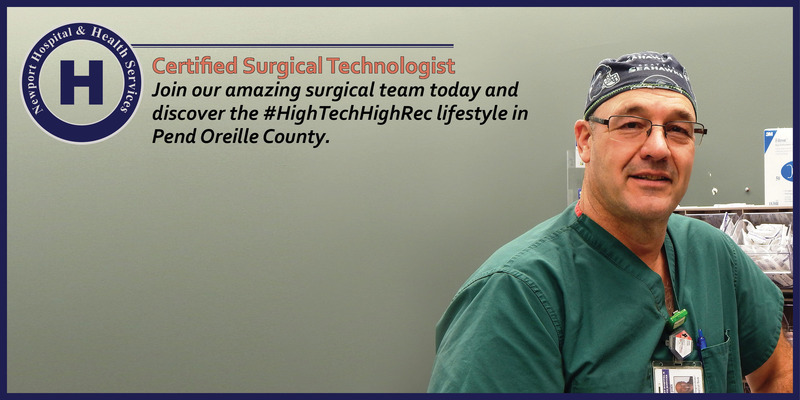 Registered in WA State as a Surgical Technologist required, Surgical Technician Certified preferred. **Special Requirements**: Position requires on call availability with minimum of 30 minute response time, to include every 3rd weekend and a week day. Newport Hospital & Health Services (NHHS) is an equal opportunity employer. This position closes when it is filled. Apply for an open position via mail or electronic form.